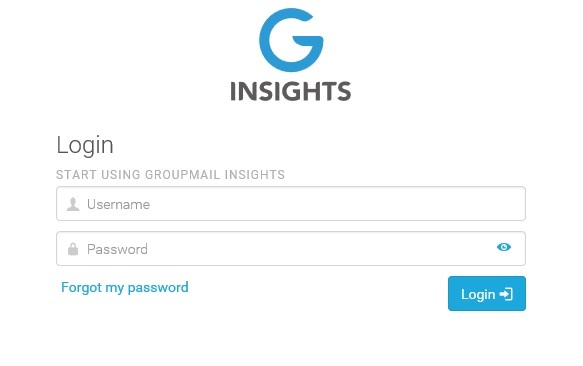 Insights allows you provide ‘Client Access’ to your Insights Campaigns. Once you sign into your Insights Account. On the left side of the screen click on “Settings”. 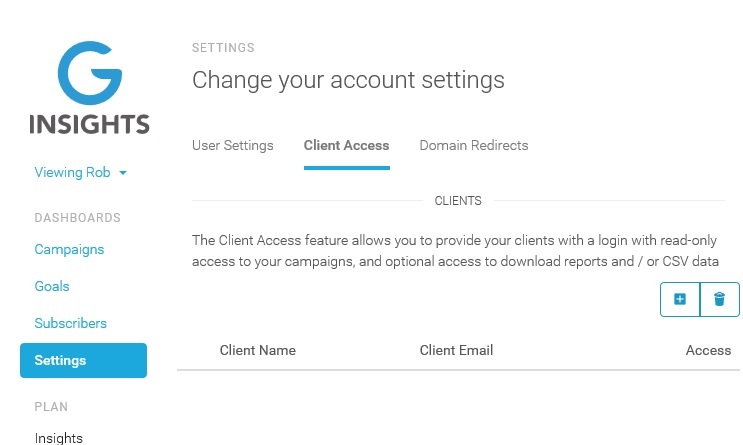 Adding a Client will immediately send them a notification email with their username and an auto generated password. If you need to test out the client functionality before this, you can add yourself as a client, then go to the client access area and log in. 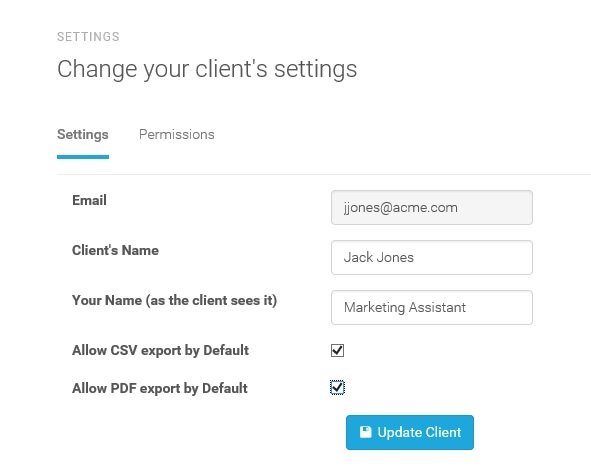 Here you can assign the Client Access to allow them to export to CSV Files and\or PDF Files by enabling these options. Finally click on the “Permissions” to assign access to the Campaigns. In the drop down menu, you can select the Campaigns you wish to give access to by clicking on the Add Button. This is what it will look like once you have assigned Client Access to some Campaigns. 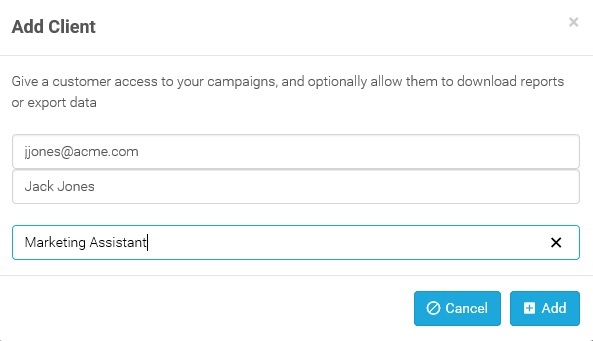 Here you can also remove a Campaign from the Permissions List by selecting and choose the Delete Button. The Client can then Login Via the Insights Website to view the Campaign(s). 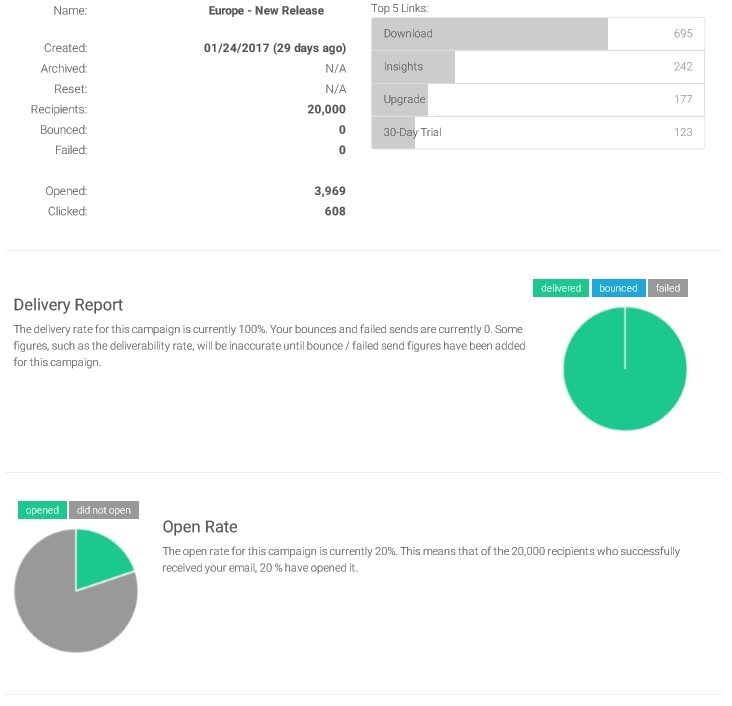 Once logged in they can View any Campaign they have Access to. Here is an example of what they will see. Note : They can also Export this to a CSV File or Downoad to a PDF File.